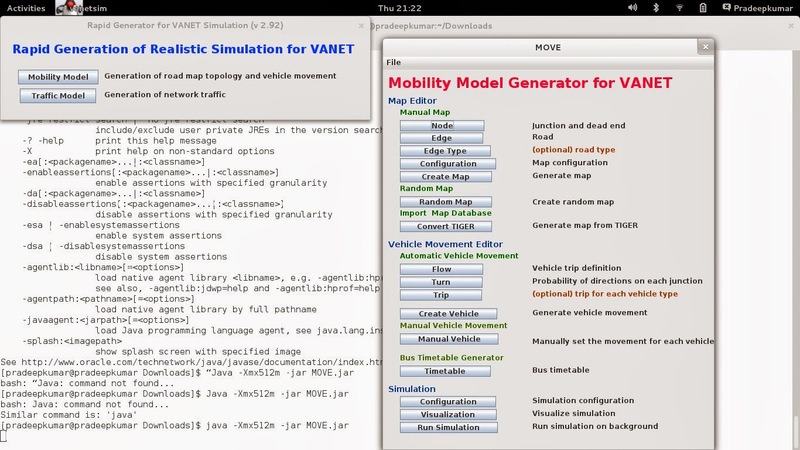 Simulation of Urban Mobility (SUMO) along with MOVE is a software that helps in simulating the VANETs. SUMO is the software that does the mobility of nodes, edges, etc from the MOVE software. 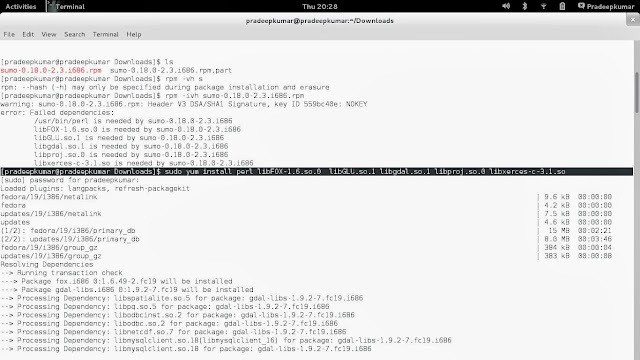 Installation of SUMO and MOVE in Linux is always a challenging job. In my case, I have used Fedora 19 (32 bit) OS. There are many problems in 64 bit version of Fedora 19, but 32 bit OS uses perfectly. Execute the command one by one. (this assumes that java is already there). 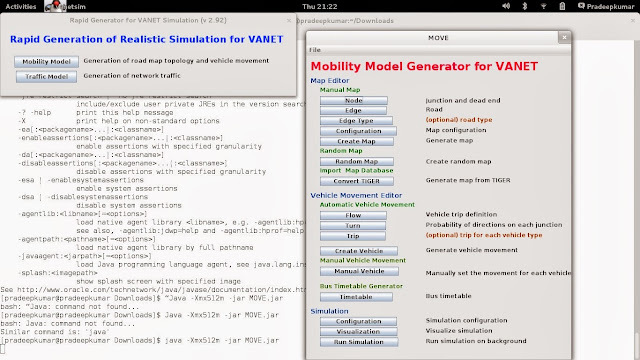 For running MOVE.jar file, javac is not needed, just the java runtime environment is enough to run. Fedora 19 comes default installation of Java Run Time environment.